Credit cards are a convenient way to spend without having to move around with a lot of cash. 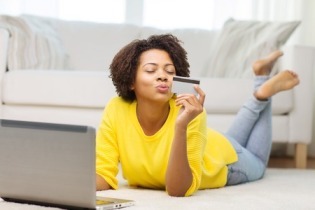 The best credit cards in South Africa depends on individual income, needs and spending habits. Here we will have a look at Great credit cards for South Africans. One’s income will determine which card they qualify for, while spending habits will determine whether they qualify at all regarding credit scoring and how much interest they will be charged. Patrons who settle their full bill monthly qualify for the credit cards rewards that include air miles and loyalty purchase points which can be used either as a discount at the point of purchase or can earn cash paid back into the card. Those who do not pay back the full balance on a monthly basis have to shop around for the card that will charge the least interest and monthly fee. The Barclaycard is a highly premium credit card. To qualify, one has to earn R42000 or more monthly. It offers cardholders extended warranty over and above the factory warranty when they purchase using the card. Special promotional offers are also for cardholders at participating retail and hospitality outlets that also come with a budget facility that gives the bearer up to 48 months to repay purchases. Platinum is the next level down; it is an expensive card to possess and transact with. It, however, can be customised to go hand in hand with the holder’s needs. Card holders on this level have exclusive use of the Platinum helpline with trained experts waiting to give them financial advice. They also have shopping, retail and hospitality rewards available to them. ABSA’s lower end cards are the ABSA gold, available to earners above R4000 a month, also available in Visa type or MasterCard. The lowest card on offer at Absa is the Absa Transact card, which is available to earners from R2000 a month and above. This card helps people new to the job market to make up their credit scoring. American Express has Platinum, Gold and the standard credit card on offer.To qualify for Platinum, one has to earn at least R25000 a month. The monthly fee on this card is R62 while initiation is R165 to start using the card. American Express has a rewards programme that starts at the first and every ensuing R5 spent. In addition to this range of cards, American Express has the SAA Voyager range of Credit Cards. These come in SAA Voyager Gold and Premium.